Every state has different laws and regulations regarding medical cannabis. 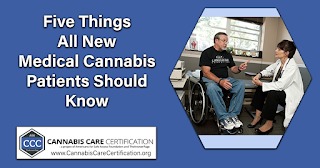 Before becoming a medical cannabis patient, you should become familiar with your state and local laws regarding possession limitations, eligible conditions, consumption restrictions, age limits, and reciprocity. To find out what your state medical cannabis laws are, click here and fill out “Let’s Get Started” for a FREE legal overview and a list of requirements for your state Medical Cannabis Program. We usually turn to Doctors as the experts. However, not all doctors are educated on medical cannabis and not all of them are for medical cannabis. Let your doctor know that this is an option you would like to explore and encourage them to do the same. Let them know that there IS medical professional education they can turn to in order to learn more about how cannabis works with the endocannabinoid system within our bodies. Medical professional education and CME credits can also be found out CannabisCareCertification.org. 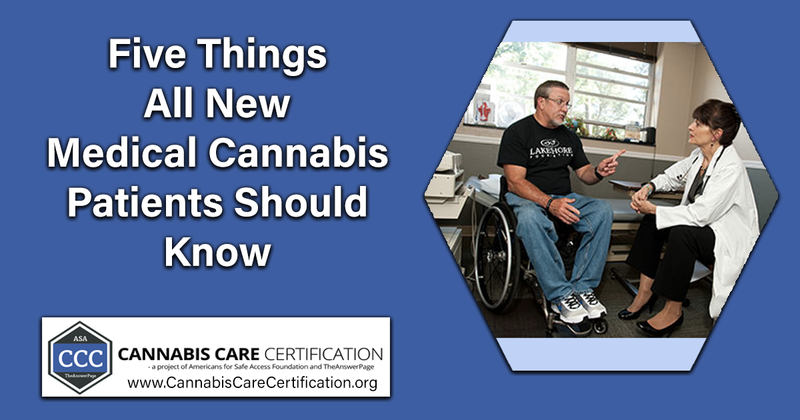 As a legal medical cannabis patient or caregiver, you have rights, and you should know exactly what they are before you buy any product. It is important to understand, for example, if medical cannabis can be used in the workplace or in your home. It is also important to know how to handle any interaction with a law enforcement officer. As a legal medical cannabis patient, you do have rights, and you should not ever be afraid to use them. When most people think about cannabis, they think about smoking cannabis. However, there are many different preparations and forms of administration; oils, tinctures and capsules with varying concentrations of tetrahydrocannabinol (THC) and cannabidiol (CBD), that produce different effects. Learn about the different options and what might work best for you. Many people still associate a bad stigma with cannabis. It is important to have strategies to talk to people. Medical cannabis users should have a plan for talking to family, friends and employers about their cannabis use. It is important to help spread the knowledge that this is a real medicine that is helping you. For more information about about medical cannabis or the Cannabis Care Certification patient education program, check out www.safeaccessnow.org and www.cannabiscarecertification.org. For 50% off the Cannabis Care Certification Patient and Caregiver Education Program, use coupon code: CCC50 at check out!